So it’s that time of year again and I just love it! I get a nice break from work so I love to relax, catch up with friends and family and eat. Eat everything. I predict I will be 75% cheese by the time January rolls round. 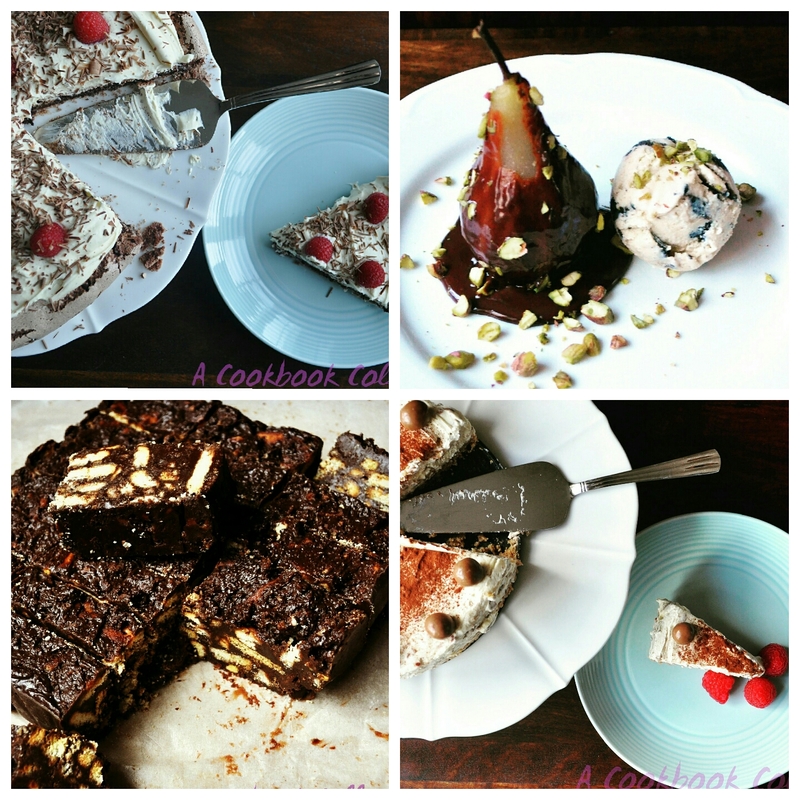 I put a post together last year with ideas for entertaining or just enjoying food yourself over Christmas and you can read that here. So I decided to do it again to get some cheap page views thank everyone for reading and supporting the blog during the year. And hopefully to give you some inspiration if you are stuck for ideas. 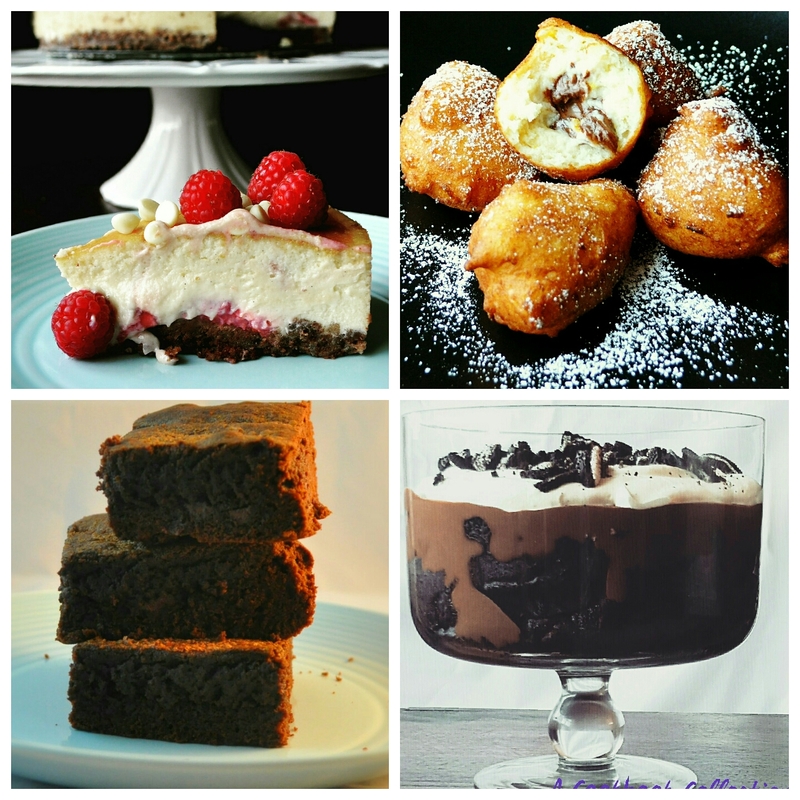 I’ve noticed that there are a lot of people researching desserts, so I’ll give plenty of time for those below! 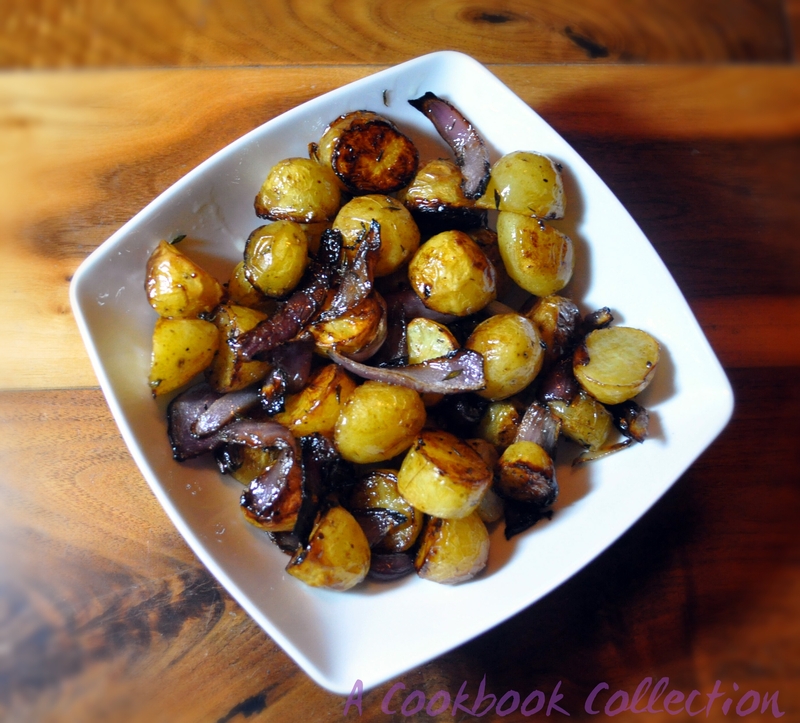 If you are having people over for lunch or are looking for some simple starters for a big meal there are so many options to go with. A soup can always be prepared in advance and then you can freeze any leftovers. 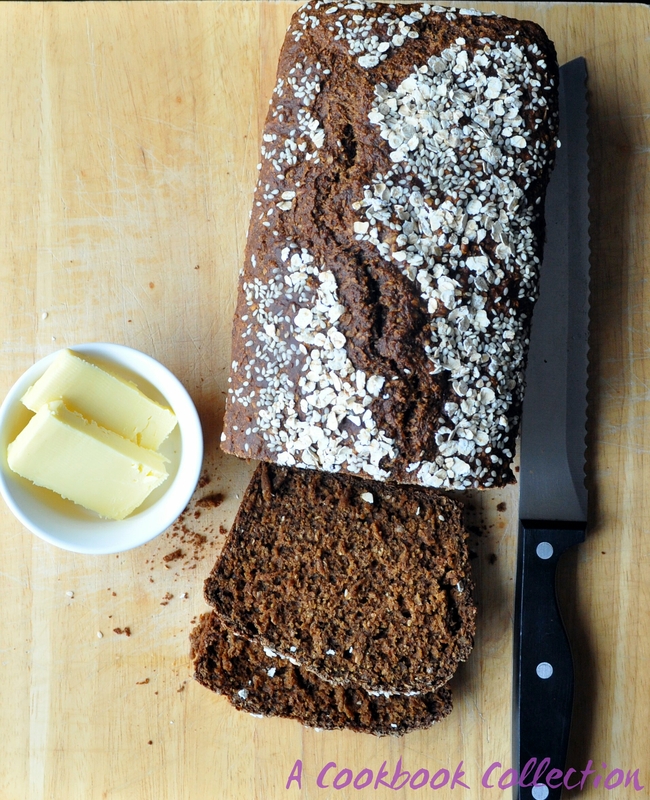 My Guinness Brown Bread would be perfect with any of these. If you want to make slightly more of an effort with your starter, this Blue Cheese Panna Cotta with Spiced Poached Pear can be prepared in advance but will really impress. 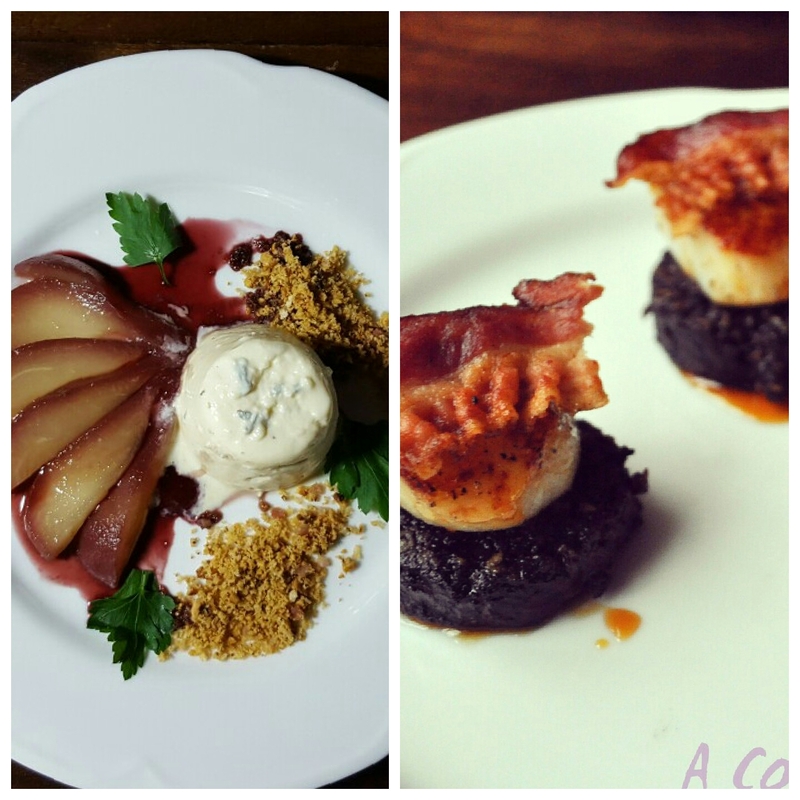 Scallops are very popular and these Scallops with Black Pudding and Pancetta would be ideal. 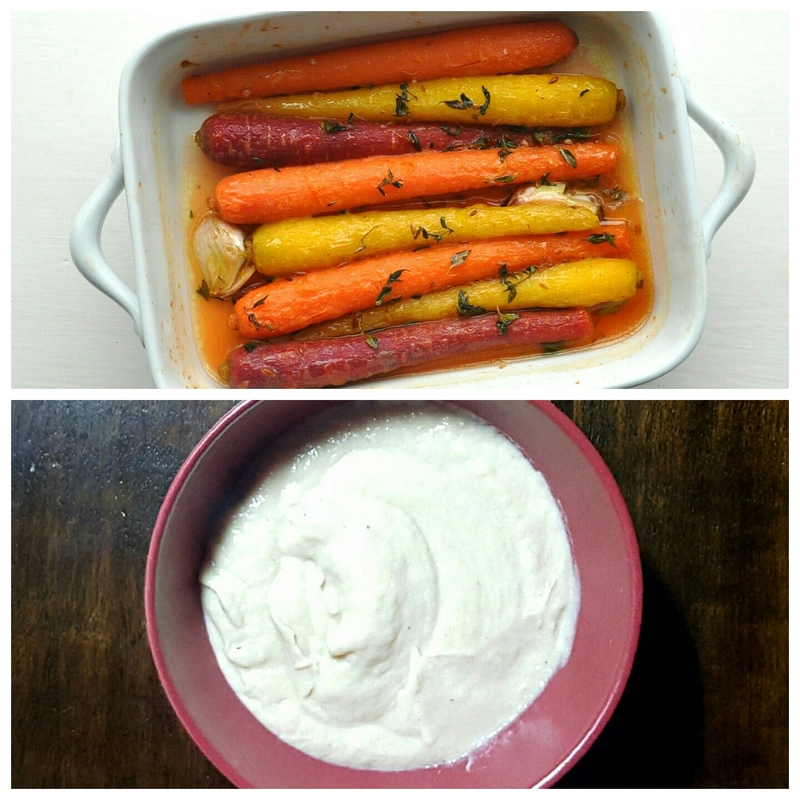 I’ll be making a roast beef for a special dinner this week and I’ll be serving Orange Roasted Carrots and Cauliflower Puree on the side. 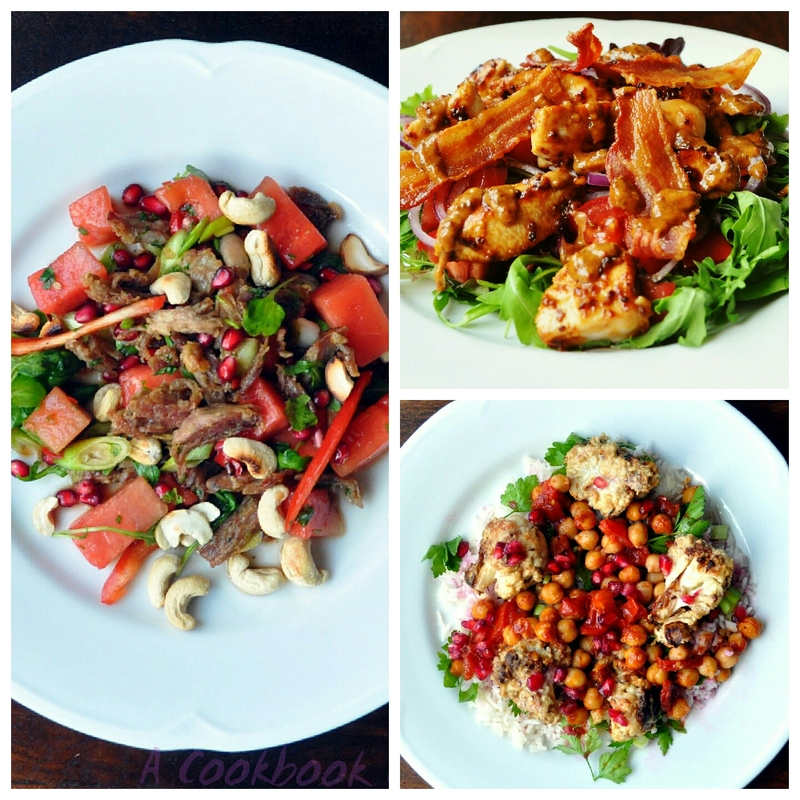 When you get sick of all the turkey sandwiches here are some ideas for main meals. 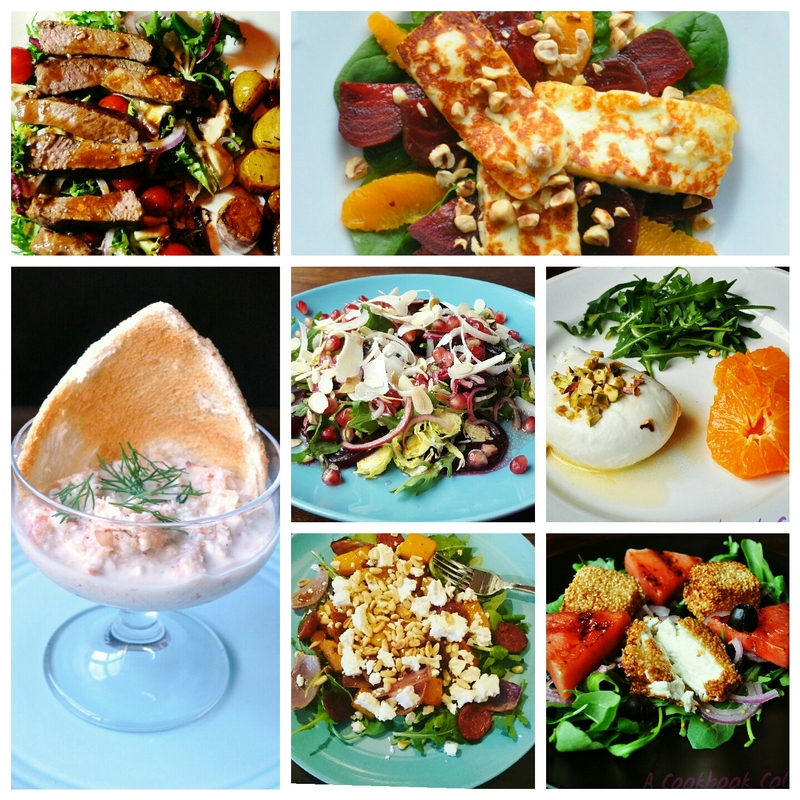 These are all salads – more salads says you! – but I think they are so filling they have to be main meals rather than starters. It’s not the best time of year for watermelon but you could substitute pink grapefruit to go with the duck, just sweeten the dressing a bit. If you’re having a party and looking for finger food ideas, any of the soups could be served in shot glasses. The salads could be served in lettuce cups or on some crostini. You can’t go wrong with these Drunken Chicken Wings with Blue Cheese Dip or Zingy Crab Cakes. 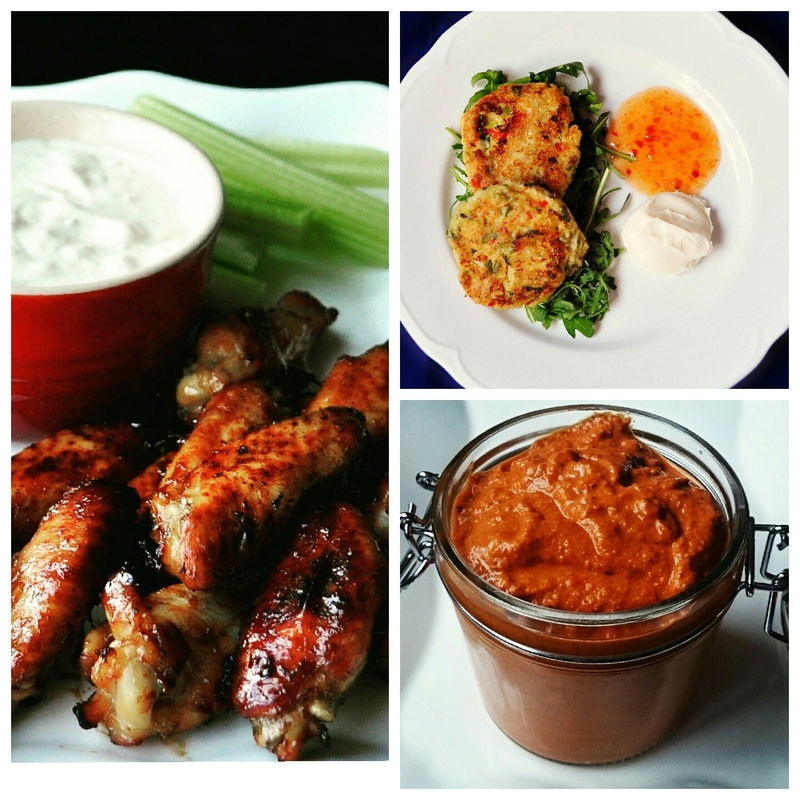 For dips try something a bit different to the usual hummus and go for a fiery Romesco Sauce. 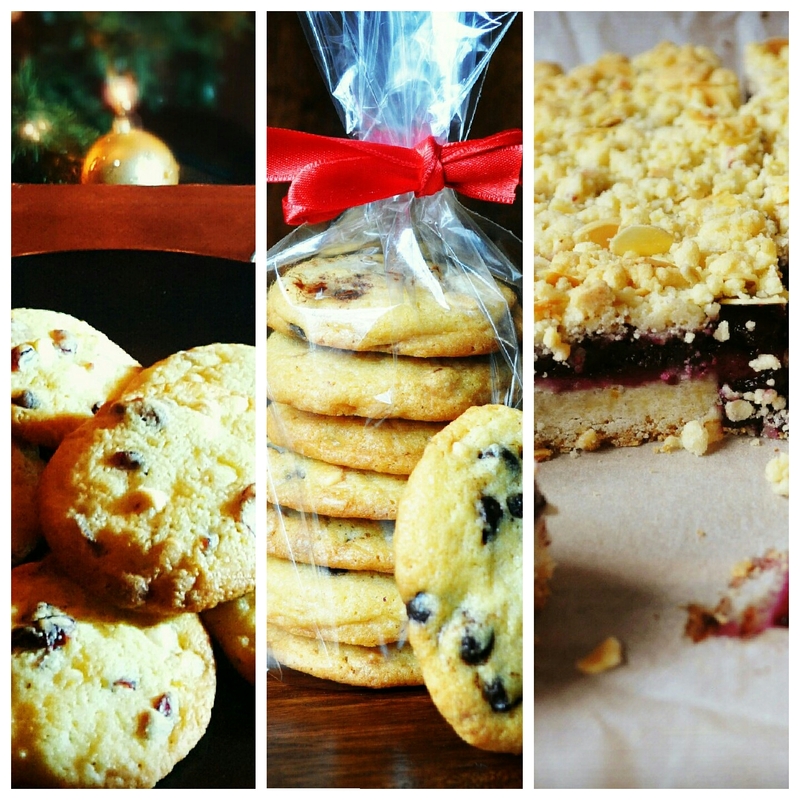 And if you just want something to have in the biscuit jar, try Orange Cranberry and White Chocolate Cookies, Chocolate Chip Cookies or Cherry Crumble bars. 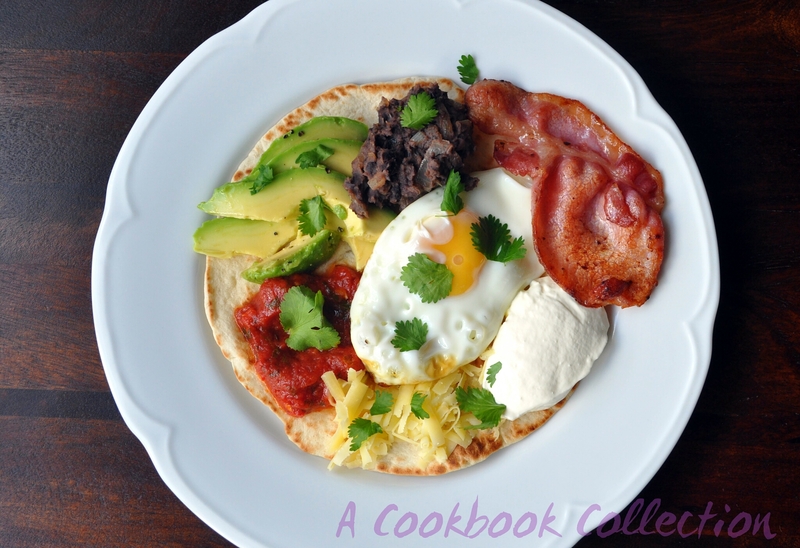 I have done a few breakfast posts too but if you’re felling a little fragile I’d highly recommend the Huevos Rancheros. Wishing you all a very well fed and Happy Christmas! 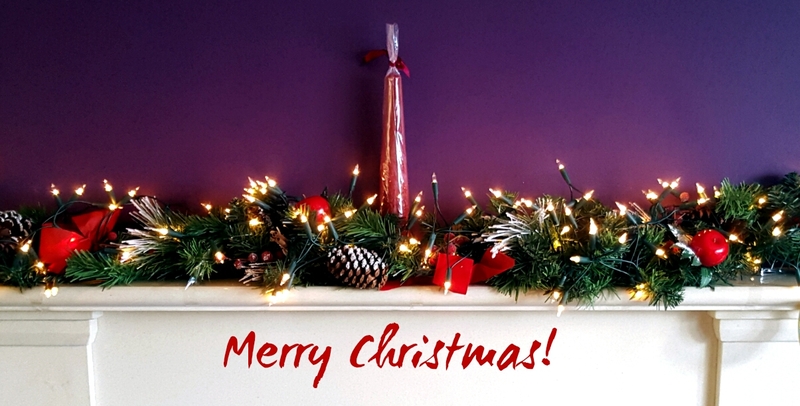 And Happy Christmas to you! But surely you don’t buy into this Christmas cheer malarkey?! ? Happy Christmas Donna, thanks for all the posts and looking forward to more in the New Year! Thanks Nicola! 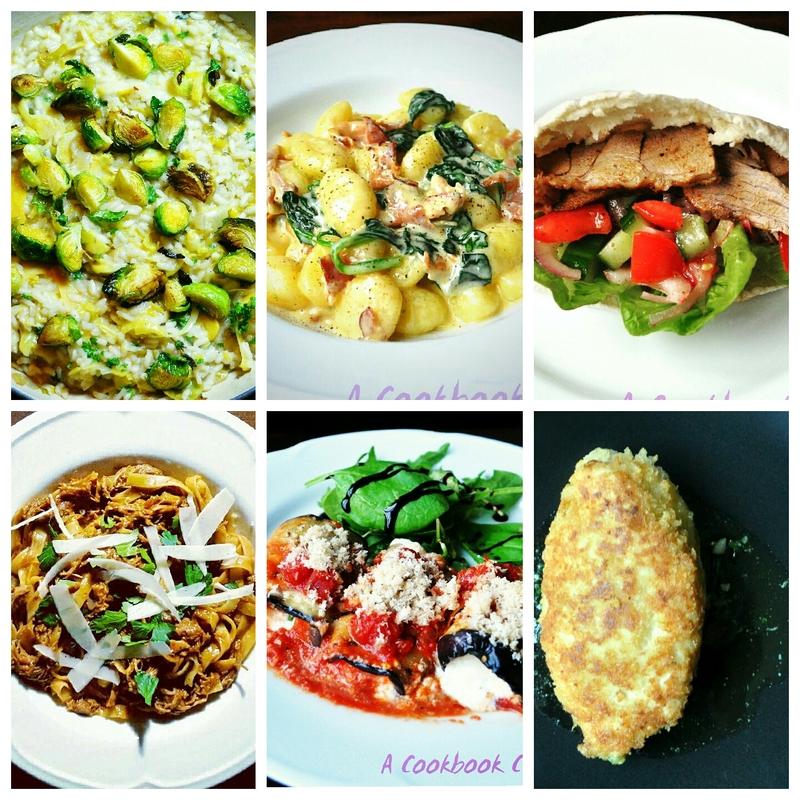 I’ll be spending a lot of time catching up on blog posts ? Hope you had a lovely Christmas! I rarely am online during the Christmas period so had missed this post but it’s a fabulous one! 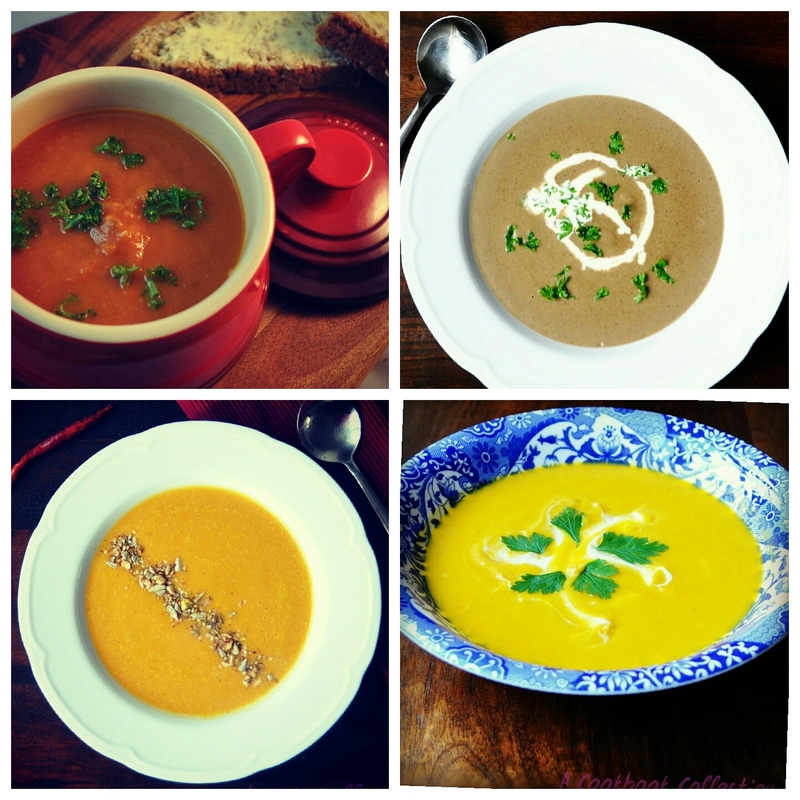 I really want to try the Butternut Squash and Coconut Chili soup – it sounds perfect for all the rainy days we’ve been getting. BTW you were one of my top comment-ers this year, so I just wanted to say a HUGE thank you for visiting me so often. I really, really, really appreciate a lot. Here’s to a great 2016! Thanks, Donna! It’s still on the list – where has January gone! 🙂 I love reading your blog too and seeing what you’ve been up to! Hope 2016 is treating you well! All good thank you Maggie!